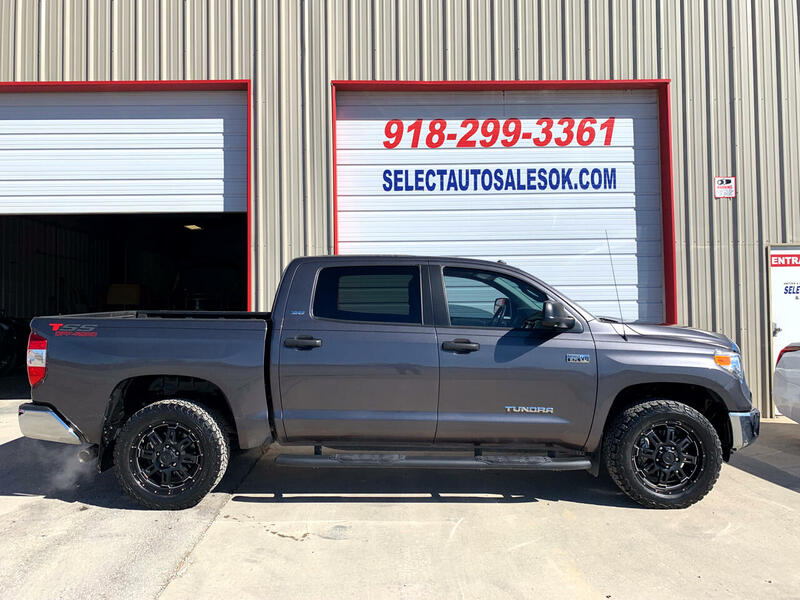 Here is a 2016 Toyota Tundra Crew Max SR5 with only 37,000 Miles. This is a 1-Owner vehicle with a clean CARFAX with no accidents. Everything works on this vehicle as it should. It is extra clean inside and out. Here is a list of some of the options on this vehicle. 4x4, TSS Off Road Package, SR5 Package, Running Boards, Fog Lights, Tinted Windows, Power Windows, Power Locks, Power Steering, Power Brakes Power Mirrors, Power Seat, Tilt, Cruise, AM/FM CD, Steering Wheel Controls, Tow Package, Spray-In Bed liner, Touch Screen Radio, Back-Up Camera, Bluetooth, Alloy Wheels and so much more.